Velotech Gold is aimed at people who are required to inspect and maintain bikes for a bike shop, school, club, business or other organisation. 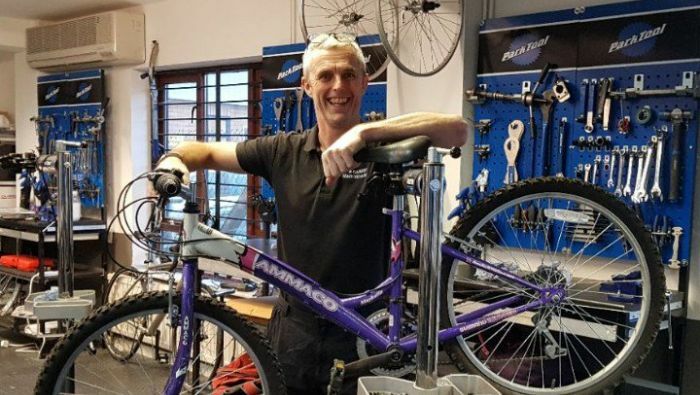 It is also perfect for individuals, either professionals or keen amateurs wanting to gain a full understanding of bike maintenance. Velotech is recognized by the trade such as the Bicycle Association of Great Britain as one of the leading standards in professional bike mechanics. The course runs over four days and teaches you how to strip and rebuild a bike from scratch, taking you through all the bike’s different systems in the process. To book on a course, have a look at available dates below. Once you’ve submitted the online form, you’ll receive an email with further instructions for the course. Refunds for courses are only given under exceptional circumstamces and never within 7 days of the advertised course. If we cancel the course for any reason a full refund will be given and a choice of alternative dates offered. There are no formal requirements for attending our Velotech Gold course. However, familiarity with bikes and some basic previous experience or experimentation is recommended to be able to get the most out of the time. This may include having played with your brakes or gears or some basic adjustments and/or some knowledge of terminology. Alternatively, other mechanical experience such as mending cars or engines would be suitable. If you are unsure about whether the course is right for you please gives us a call and speak to our head mechanic or drop us an email. We’d love to chat more about the course.